Let me start off by saying that we accept no responsibility or liability if you chop off the tip of your finger with this deli meat and cheese slicer. I didn’t run that by our lawyers, but I’m pretty sure we’re good. 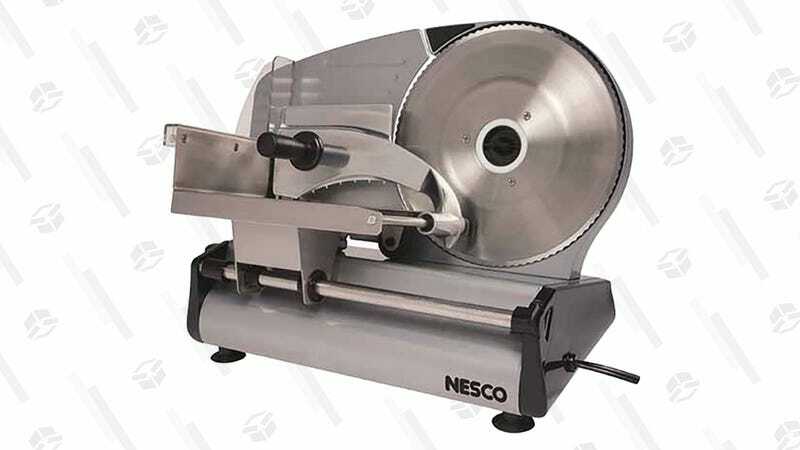 If you’ve got the space for it, $60 is a great price for a slicer with adjustable thickness settings, especially with Thanksgiving just around the corner.